Growth is great for business, but it brings with it a whole new set of problems. Most organizations today don’t heed them when tackling innovation projects. Organizations need to become better at asking the right questions so that they tackle the right problems. 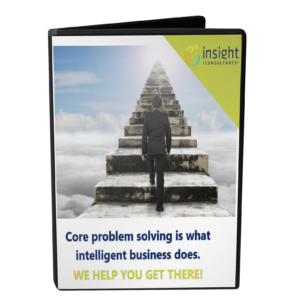 We, Insight Consultants, look at a client’s business problem in a systematic manner that eventually gives both Insight Consultants, and the client, a clear view of what’s required and why, what needs to be done about it, and how its impact on your organisation can be measured for success. Here is an interesting video on what is Radical Rooting all about.